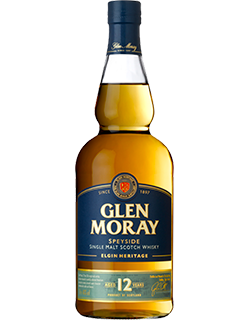 Since 1897, GLEN MORAY Single Malt Scotch Whisky has always remained one of the most highly-regarded Speyside Single Malts. The younger malty flavours of butterscotch and lemongrass are allowed to shine in this wonderfully light Whisky. Rich Port wine flavours combine with vanilla oak notes to produce a Whisky which is well balanced and full of character. Intense Oloroso sherry flavours marry with sweet vanilla oak to produce a Whisky which has a wonderful depth of character. An excellent Speysider balancing the sweet and spice of highland toffee, brambles and ginger marmalade. 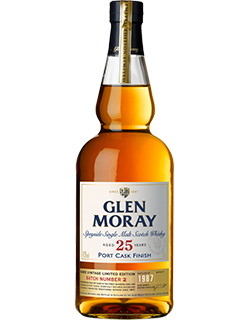 Sherry matured and American oak matured GLEN MORAY are brought together to produce a deliciously sweet and rich Whisky with a hint of spice. 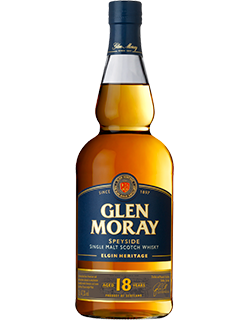 GLEN MORAY 18 year old single malt is one of the finest examples of a Speyside Whisky matured in the finest American oak casks to ensure the optimum flavour and smoothness. A rich, sweet and complex Whisky that is beautifully laced with impressions of wine. 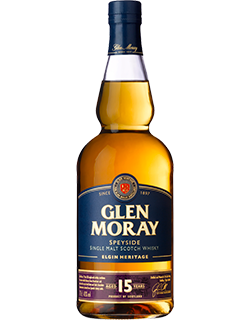 As a Single Malt, Glen Moray is distilled in pot stills entirely by our distillery from water and only malted barley since 1897. Carefully matured in American oak casks sourced from North America. 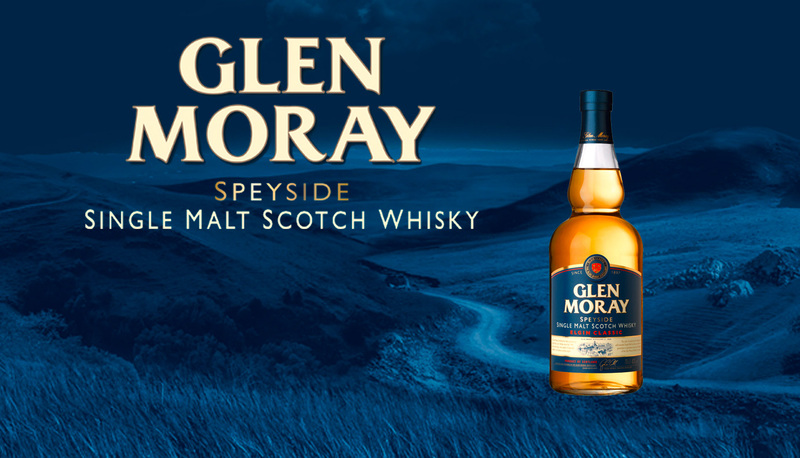 The result is a typical Single Malt from Speyside, soft and fruity with a large range which appeals to all consumers looking for a true story. 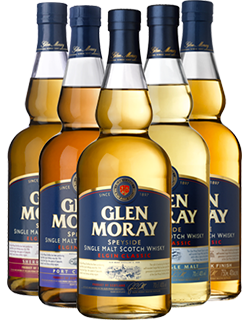 Over the years, the Glen Moray Distillery has built an exceptional portfolio of Speyside Single Malt. 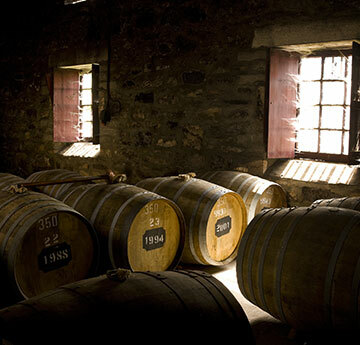 The marriage of our spirit and oak is something which is closely watched over during the years of maturation. We source a wide and varied range of casks which allow our whiskies to mature in styles such as port pipes, sherry butts and chardonnay barrels. In a shaker, pour GLEN MORAY Single Malt Scotch Whisky, hazelnut liqueur and bitter. Shake and transfer into a glass. Add ice. Decorate with the cherries and the orange peel.